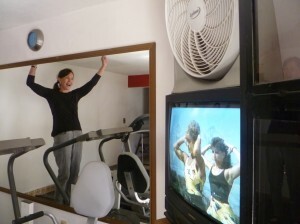 When I was in Hawaii, I watched Body by Janis TV Exercise Program while working out on my treadmill. Her energy and enthusiasm keep me exercising. Occasionally I would join her in a hoot and yell. We were so happy to find Janis in San Miguel de Allende, Mexico. Our last l0 years of training in Janis’ Gym has carried both of us through many interesting times in our lives (broken bones, replacements and more!) Sometimes we come to Janis for rehab and other times we come to preserve our strong bodies.